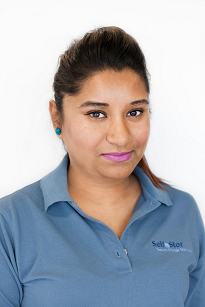 Christi is the newest member of the Self Stor team since coming on board in 2014. Christi brought with her a wealth of knowledge from Uhaul Head Office. Although Self Stor prides itself on being number one in self storage, we learned a lot from Christi and were able to implement some key changes at all our facilities. Christi continues to contribute at our Richmond Hill facility and we can’t thank her enough for becoming part of the Self Stor team!